Travel diaries ! 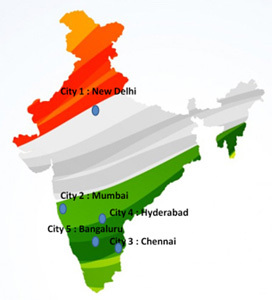 - Dr. Joe Massad's Sojourn to multiple Indian Cities promoting "Prospective Engineered Rehabilitation"
Dr. Joe Massad's fondness for India is well established by his previous visits, during which, through his upbeat spirits, he has endowed one and all with knowledge, enthusiasm, and dexterity in the field of Dentistry. 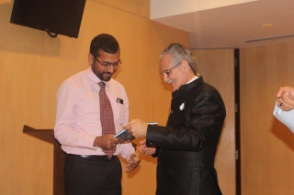 This year, the slow spring of Indian subcontinent witnessed a gust of change with Dr. Joe Massad's sojourn to five Indian cities across the length and breadth of the nation- New Delhi, Mumbai, Chennai, Hyderabad and Bengaluru. 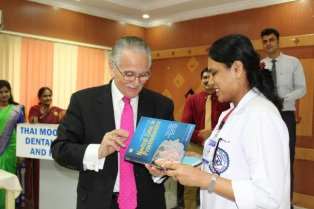 Dr. Joseph Massad's travel diaries to India. 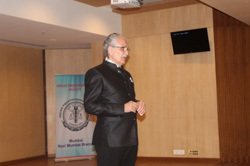 Prof. (Dr.) Mahesh Verma, Director & Principal of Maulana Azad Institute of Dental Sciences, New Delhi; Past President of Indian Prosthodontic Society and Indian Dental Association, was extremely pivotal in rendering unconditional support to Dr. Joe's Indian excursion, that was intended to champion the cause of dissemination of science and knowledge for furthering superlative care to edentulous patients. 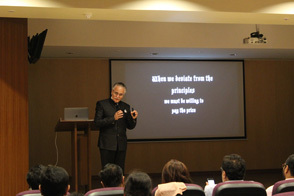 Prof. Verma accompanied Dr. Massad throughout the trip and co-lectured with him at few centres. 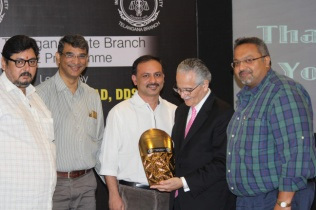 Additionally, Dr. Joe's short stint across the Northern, Southern and Western part of the nation was earnestly supported by Indian Prosthodontic Society (IPS) and the State Affiliates of IPS. Dr. Joe Massad dons many hats - all at once. 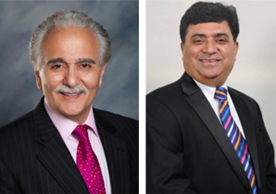 But his most commendable contribution is in the field of education in Prosthodontics. 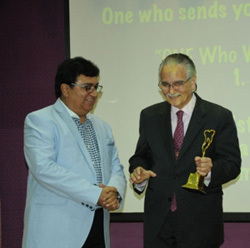 As an Associate Professor (at University of Oklahoma, University of Tennessee Health Centre, Tufts University , University of Texas Health and Loma Linda University ) and visiting Professor at Maulana Azad Institute of dental Sciences, New Delhi he has lived up to the true spirit of an educator, a mentor who lights his lamp to show the path to others! 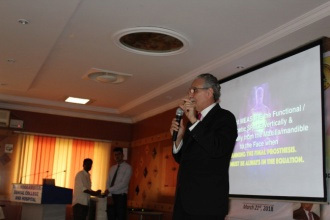 During his brief visit to India, Dr. Massad divulged the protocols for “prospective engineered rehabilitation“ through successful prosthesis fabrication. The oration was especially implied to address intimidating completely edentulous scenarios typically associated with excessively resorbed ridges and ridges with extremely atrophic mucosa. His innovative approach helped to demystify the enigma of complete edentulism in order to spur the oral physicians go that extra mile and achieve “over and above the patient expectations“. His communication relentlessly stressed on meticulous detailing required in complete denture impression, improved jaw relation recording methods, relevance of neutral zone, methods of registering the neutral zone and establishing the cameograph. In a compelling yet non prescriptive manner he displays through animations and visual graphics the ways to best use the amalgamation of muscle physiology and newer tools and materials in improvisation of outcome of a prosthetic rehabilitation. Eventually he revealed the missing link for successful implant placement by CBCT Dual Scanning merging the markers of the Prospective Engineered Prosthesis in the patient's mouth and the 3D scans of the prosthesis. 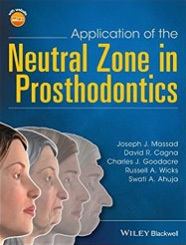 At the end of the lecture session at each rendezvous, Dr. Joe introduced to the avid readers of India a spectacular compilation in the form of a book titled “Application of the Neutral Zone in Prosthodontics” co-authored by him. In a coherent and an exhaustive manner the book elaborates the procedures underpinning the “Prospective Engineered Rehabilitation” principles, to help improvise the existing quality of service delivery. 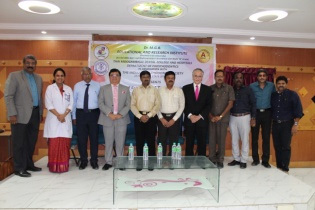 Dr. Joe accompanied by Prof. (Dr. ) Mahesh Verma to the rendezvous of extremely eager assembly of dentists of variant cadres across entire Northern India. The magic of Dr. Joe Massad! The vivacious presentation made the Herculean task of rehabilitation of complete edentulism facile! The visual illustrations particularly those from nearly four decade old archives as well as the nova animations left the audience spell bound and in rapt attention!!! Dr. Joe Massad reiterated " When we deviated from the principles, we must be ready to pay the price!" 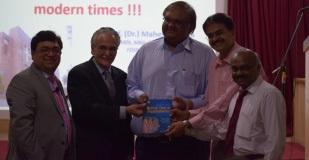 A fortunate reader being presented the signed copy of book in which Dr. Joe Massad contributed immensely ! 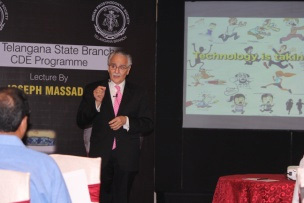 Dr. Joe Massad at the emphasising on the technological invasion in dentistry and the need to cope up with the same. 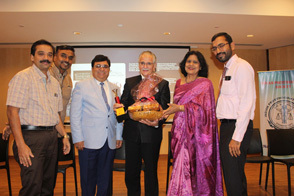 Dr. Joe Massad accompanied by Prof. (Dr.) Mahesh Verma, Dr. Kashinath (President IPS) and Dr. Srivatsa (Dean KLES Institute of Dental Sciences) and Dr. Shiva Shankar at inauguration of the event. First look of the Text book compiled by Dr. Joseph Massad. ... To Dr. Joe, with much gratitude from India ! !We hope to see you again soon!